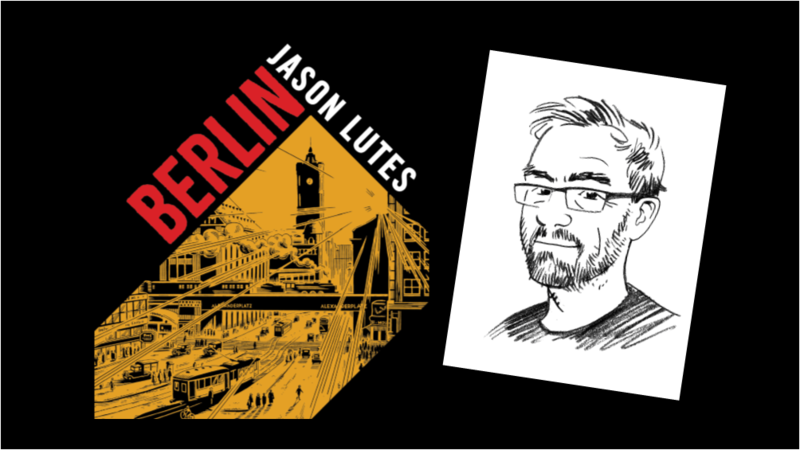 Renowned comics creator Jason Lutes presents his epic masterwork: Berlin! Join us for an evening at the Norman Williams Public Library to hear all about this breath-taking piece of work and what went into it's creation, straight from the author and artist himself. Whether you love graphic novels or have never even touched one before, this event will give you insight and a new appreciation for what can be accomplished when words and images work together. Over two decades, Jason Lutes quietly created one of the masterworks of the graphic novel golden age. Berlin is one of the high-water marks of the medium: rich in its well-researched historical detail, compassionate in its character studies, and as timely as ever in its depiction of a society slowly awakening to the stranglehold of fascism. Berlin is an intricate look at the fall of the Weimar Republic through the eyes of its citizens—Marthe Müller, a young woman escaping the memory of a brother killed in World War I, Kurt Severing, an idealistic journalist losing faith in the printed word as fascism and extremism take hold; the Brauns, a family torn apart by poverty and politics. Lutes weaves these characters’ lives into the larger fabric of a city slowly ripping apart. Lavish salons, crumbling sidewalks, dusty attics, and train stations: all these places come alive in Lutes’ masterful hand.Weimar Berlin was the world’s metropolis, where intellectualism, creativity, and sensuous liberal values thrived, and Lutes maps its tragic, inevitable decline. Devastatingly relevant and beautifully told, Berlin is one of the great epics of the comics medium. Jason Lutes was born in New Jersey in 1967. He graduated from the Rhode Island School of Design with a BFA in illustration, and in 1993 he began drawing a weekly comics page called Jar of Fools for Seattle’s The Stranger. Lutes lives in Vermont with his partner and two children, where he teaches comics at The Center for Cartoon Studies. New York Times Friday, November 30th 2018: "A Long Visit to Weimar-Era Berlin Through an Epic Graphic Novel"
Independent UK Thursday, September 13th 2018: "How a graphic novel written across two decades is comparing todays' Britain and America to 1930s Germany"
Valley News Friday, September 21st, 2018: "Hartland Cartoonist’s ‘Berlin’ Is a Masterwork About a Pivotal Time"